On Good Friday, Catholics in the Archdiocese of Wellington and the Diocese of Palmerston North will have an opportunity to help support the sacred shrine of the Franciscan church at Cana in Galilee and to provide university scholarships for 20 students from needy families in Israel or Palestine. 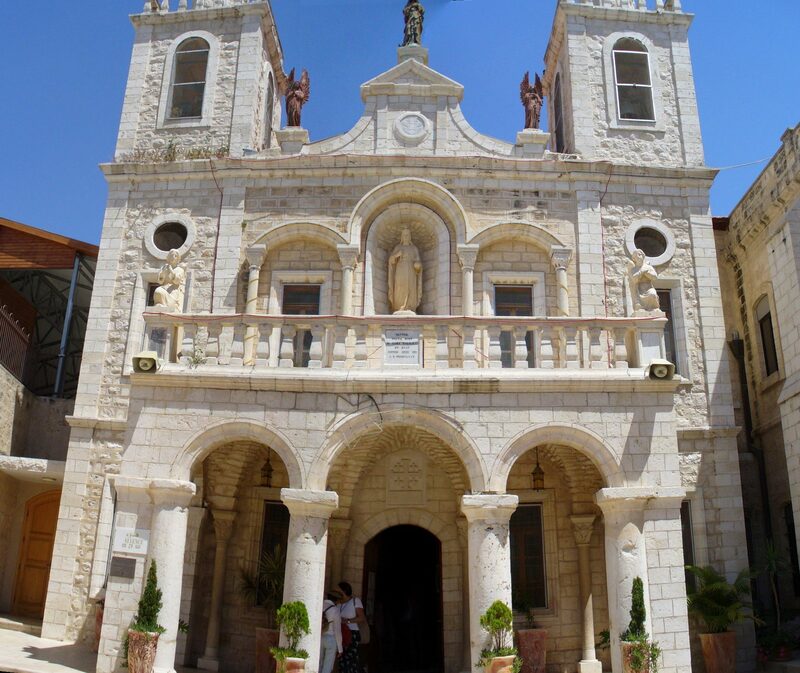 The Franciscan church is usually known as the ‘Wedding Church’ because it is where Jesus performed his first public miracle, turning water into wine at a wedding feast (John 2:1-11). The Good Friday collection has been held every Good Friday for the past 130 years. It was instituted by Pope Leo XIII in 1887 to support the work of the ‘Custody of the Holy Land’ – the Franciscan body that is the official custodian of Catholic holy places since 1342. Initially the work of the Franciscan friars, the Custody was supported by bequests given by Christian pilgrims and by donations sent by various Christian kingdoms, principalities and states of Europe. The Custody has records of donations by King Henry VIII of England before he severed his ties with the Pope. But the Reformation and political realignments throughout Europe, in particular the French Revolution, meant the original sources of finance gradually disappeared. The Holy See therefore issued a series of directives to ensure the Franciscans’ work would continue to be adequately funded. The most important of these was Pope Leo’s directive that on every Good Friday a collection would be taken up in every parish church throughout the world for the purpose of supporting the Custody. In each country, a Commissariat of the Holy Land, headed by a Franciscan friar who is called a Commissary, is responsible for ensuring contributions from Catholics in each diocese are sent to the Holy Land. Because we did not have a Commissariat until recent years, the collections from New Zealand were sent via Rome through the Apostolic Delegation and later the Apostolic Nunciature. In 1994, a Vice-Commissary was established under the Australian Commissary, and in 1997, as a result of a request made by the New Zealand Catholic Bishops Conference, a full Commissariat was established. When I attended a meeting of the Holy Land Commissaries in 1995 as Vice-Commissary for New Zealand, I asked that a specific shrine and a particular charitable work be earmarked to receive future contributions from our Good Friday collection. The timing was appropriate because the church was in need of a complete renovation. This work, along with exhaustive archaeological research at the site, was completed in 1999. But the need for regular maintenance of the church – a popular place for couples to renew their marriage vows – is ongoing. Catholics in Wellington and Palmerston North have contributed generously to the Good Friday collection. Last year parishioners in the Archdiocese gave $39,902.95 – almost a third of the national total – and parishioners in Palmerston North gave $20,116.40 – 16 per cent of the national total.